I have couple of female puppies avialble to guardian homes. You must live nearby year round and be willing to part with her for a couple months for a few litters. ​Leap is expecting puppies with Freedom in May. So I will have blacks ready to go home in August. Parents health tested clear and champion and grand champion show dogs. These will be blacks. See others page for any pups my friends might have avialble. ALL PUPPIES in Photos below ARE RESERVED. At this time we have plans for future puppies. You can check the Toy poodles by others page as sometimes they have oversize (large toys) available. Your welcome to complete the application and be put on the waiting list if you want a puppy that we do'nt have at this time. Ariel and Sarge babies All in new homes. Top left is ROSIE, and Bottom left is Ch. Future. 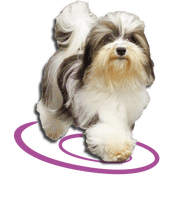 We have had the pleasure of breeding some awesome miniature puppies, including one that wins Best of Winners and Best Puppy at PCA national show. One that won AOM at PCA too. You can have the opportunity to love and be loved by one of our fine mini pups. 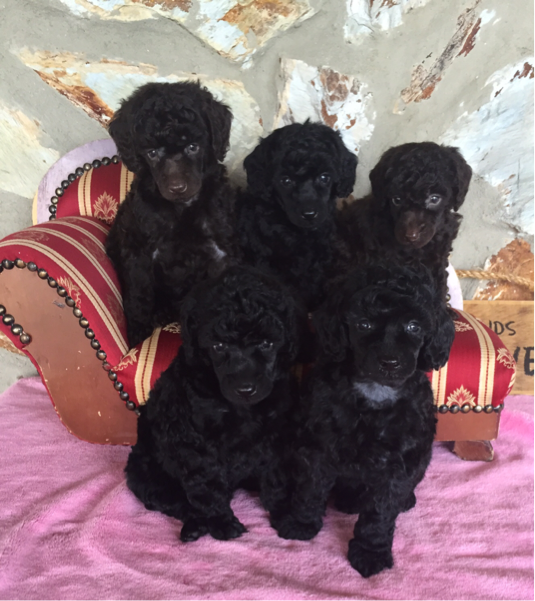 Our puppies parents are health tested and have lots of champions in pedigree.This can be verified on OFA and pedigrees can be seen on poodlepedigree. We sell our pups to both show homes and loving families to enjoy.